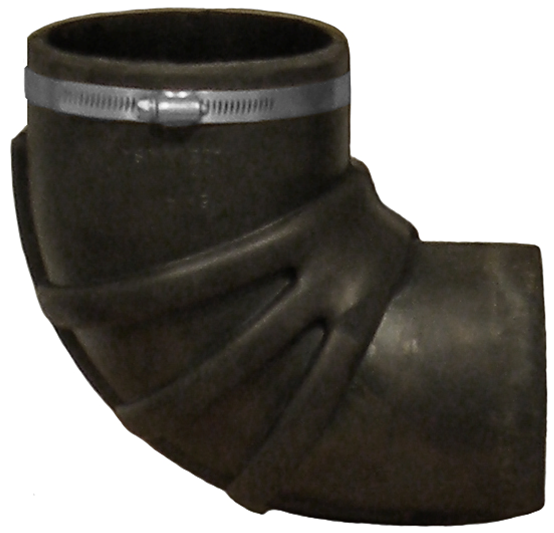 Truck Blower Elbows - Vortox Air Technology, Inc.
90˚ EPD, air intake elbow complies with the increased expectations of modern truck blowers that require higher vacuum intake pressure. Made specifically for Vortox Air Technology, Inc. Truck Blower Air Cleaner applications. Vacuum collapse rating (P/Ns 22549 & 22550) meets 17″ Hg. Mercury for most blower applications. Recommended for temperatures -40˚F to +300˚F duty. Low Temp. Brittleness, D2137, Method A; Non-Brittle after 3 minutes at -40˚C. 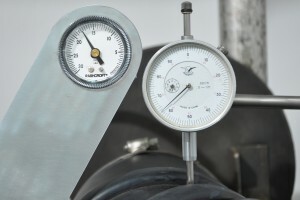 Why choose a Vortox Air Technology Rubber Elbow?